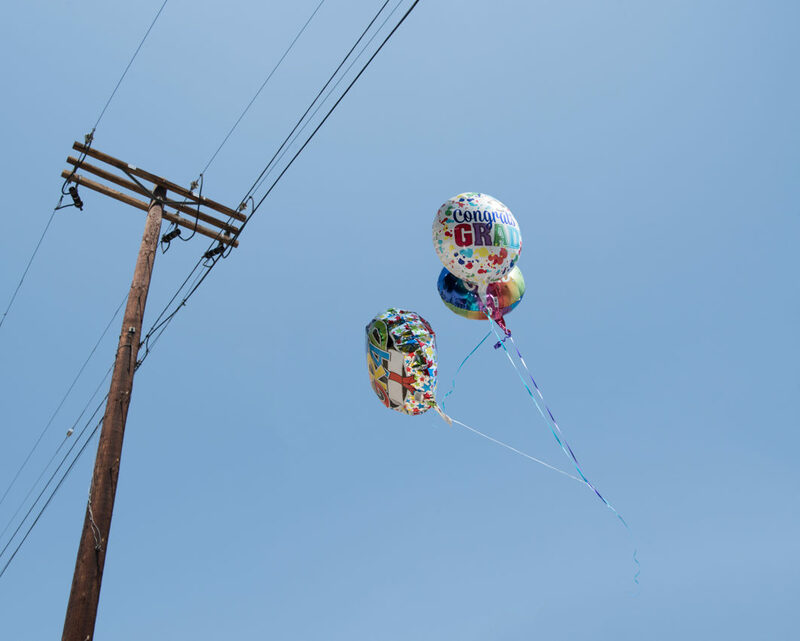 Stray metallic balloons cause an average of 200 power outages a year in L.A.
LOS ANGELES (June 11, 2018)—During this time of year, flower leis, personalized cards and balloons are popular gifts for graduation ceremonies as well as Father’s Day. The Los Angeles Department of Water and Power (LADWP) reminds our customers that metallic balloons, or Mylars, can cause power outages and pose a public safety risk. 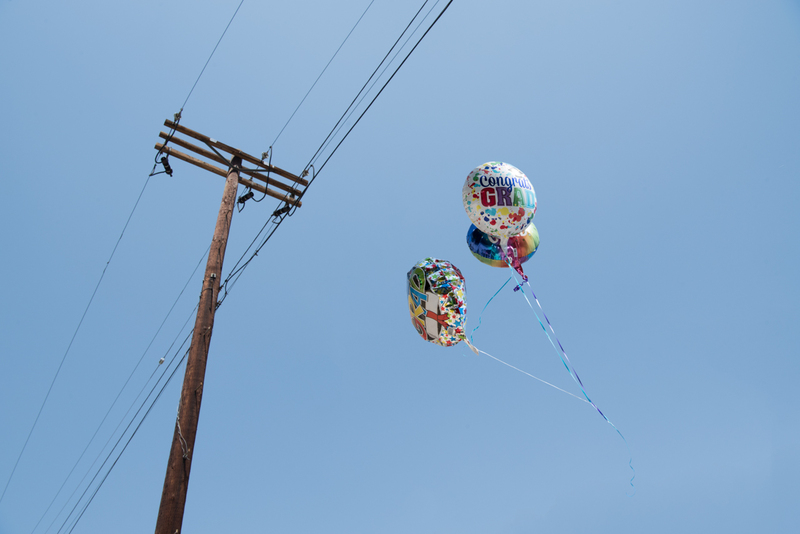 Each year, Mylar balloons cause approximately 200 power outages–about one Mylar-related outage every other day in the City of Los Angeles. Over two weeks in May 2018 (May 14-27), Mylar balloons caused 36 community-wide outages and affected more than 43,300 homes and businesses—nearly 45 percent of the total number of customers affected by power outages during those two weeks. On May 10, a 12-hour, community-wide Mylar-related outage in the Harbor/Gateway community occurred, affecting 2,450 customers. The metallic coating on Mylar balloons conducts electricity, and can cause a short circuit or power surge when in contact with power lines. This can lead to large-scale power outages, melting of electrical wires, and fires, leading to possible injuries and property damage. In addition, outages caused by balloons can often result in traffic congestion due to disrupted traffic signals, and cause a significant inconvenience for residents and business owners who lose power. The above safety tips for proper handling of Mylar balloons are taken from California Penal Code Chapter 1559 Section 653.1. Florists and other merchants should always make certain that Mylar balloons are properly weighted, and should remind their customers not to release them outdoors. If you see a Mylar balloon that has contacted a power line, keep yourself, your equipment, and all other items and people, at least 20 feet away. Always assume the power lines are energized. Do not attempt to climb the pole or try to retrieve the object. Call LADWP at 1-800-DIAL DWP.